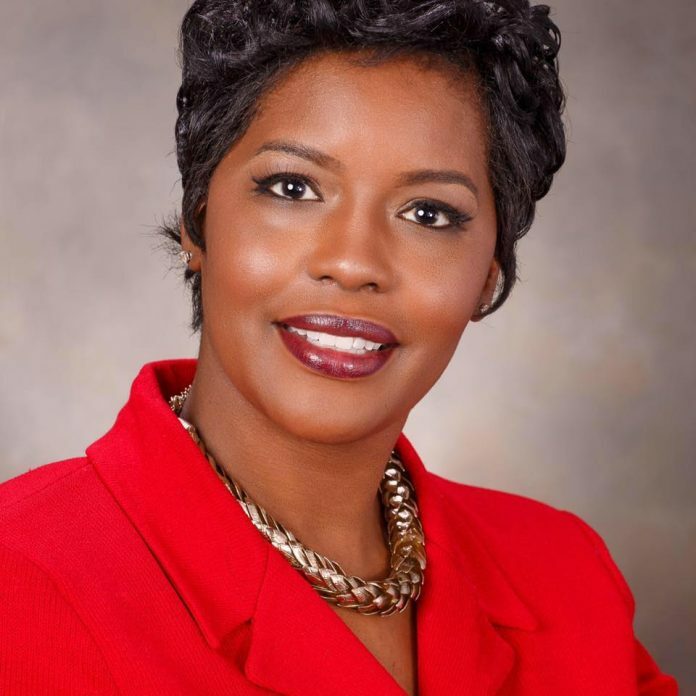 Tiffany McCord, the first African American female Circuit Clerk for Montgomery, Alabama, is running for district judge. McCord is involved in many associations and organizations, including: the Alabama Bar Association, the Alabama Criminal Defense Lawyers Association, the National Criminal Defense Lawyers Association, the Capital City Bar Association, the Board of Directors for the Westside Restoration Corporation, and Leadership Montgomery. In addition to actively participating in these organizations and diligently performing as a circuit clerk, McCord also maintains her own private law practice. While McCord is extremely successful in her line of work, she overcame many obstacles to get to where she is today. Tiffany McCord was born and raised in rural Alabama by a low-income family. She grew up around underprivileged people that often came in contact with the law. Whenever she spoke to peers or family members that went through the court system, she heard overwhelmingly that people were not being offered accurate legal representation. From that point on, McCord knew that she wanted to provide proper representation for low-income families. McCord graduated from Auburn University in Montgomery with a degree in History. She then attended Jones School of Law to obtain her juris doctorate degree. After graduating, McCord became one of the youngest attorneys to be selected as a Criminal Justice Act panel attorney for the U.S. District Court for the Middle District of Alabama. She also worked with the Federal Defenders Program for the Middle District of Alabama before starting her own private practice. While working with the Federal Defenders Program, McCord learned the essence of quality representation and “client first” mentality. She credits her compassion for people and advocacy for fairness to the Federal Defenders Program. After gaining over 15 years of experience in the field of law, McCord has the opportunity to fulfill her dream of becoming a district judge. McCord has based her career journey towards becoming a district judge around this quote: “If justice isn’t in the courthouse, where is it?” She hopes to bring fairness and justice to the courthouse and change the perception that the judicial system is unfair to certain groups of people. She desires to prove that the court system in Alabama is designed to be the “people’s court” by being a compassionate and fair judge to all people, regardless of their circumstances or situation. Based on her undeniable compassion for justice for all people and her extensive knowledge of the law, McCord is ready and willing to fulfill her duties in the people’s court. The people must also do their part, however, by cooperating with the judicial system, attending jury duty, and voting in the upcoming elections. All rights reserved, Gumptown Magazine. Copyright 2017.